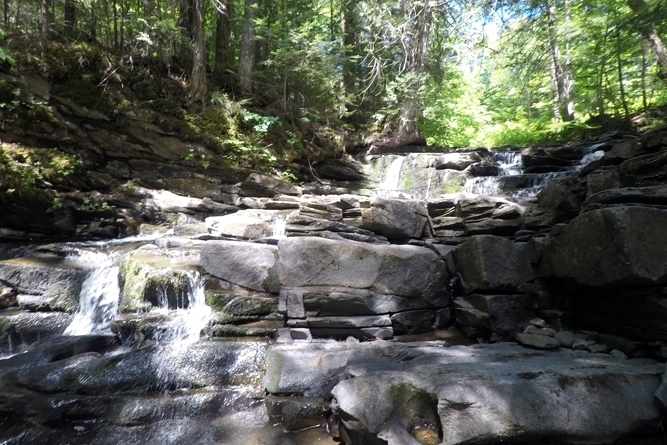 Square Brook's Flow Over Ledge Runs Creates A Series Of Waterfalls And Swimming Holes. The property is in a rural setting at the edge of the hamlet of Sheffield Village. The village offers amenities common to other Vermont towns of its size (population ≈ 700). Miller’s Run School (pre-school thru eighth grade), serving Sheffield and Wheelock, is located adjacent to the property boundary. While the land is situated in a rural area, Interstate 91 Exit 24 is 6 miles to the south, providing easy travel to destinations beyond. The closest large town is Lyndon Center (population ≈ 6,000), 7 miles from the property and host to Lyndon State College and the Lyndon Institute. Burke Ski Resort is 14 miles to the east. Other regional destinations include St. Johnsbury (17 miles), Hanover, New Hampshire (a 75-minute drive), and Boston (a 3-hour drive). The property has three primary points of access. Route 122 runs through the eastern section of the property with roughly 2,500’ of frontage on both sides of this state highway. The frontage along the road is mostly high and dry, and exists as cropland and hayfields. 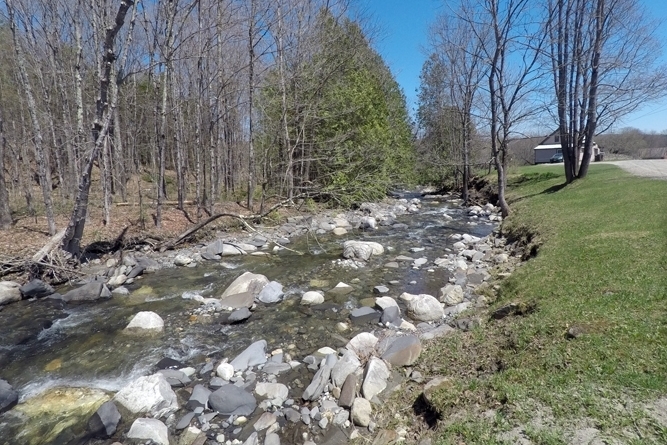 The ±1,230’ of frontage along graveled, town-maintained Sheffield Square Road creates much of the northern boundary and provides good access to Square Brook and the aquifer. 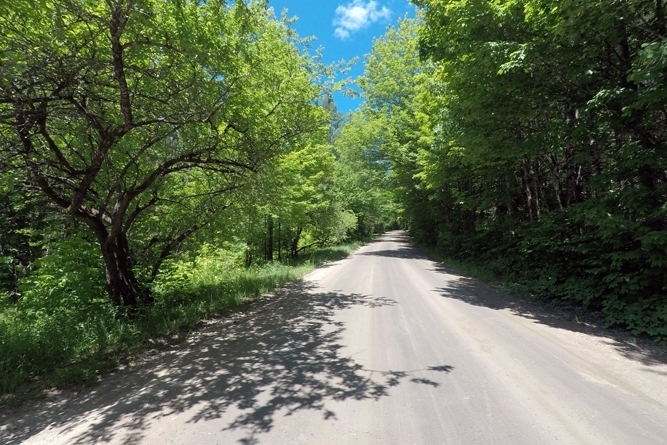 The ±1,390’ of frontage along graveled, town-maintained Keniston Hill Road creates the southern boundary of the property and provides good access to home sites, such as the first-period Clapp Farm with a spectacular Burke Mountain view. Power from Citizen’s Utilities is accessible throughout the property from Route 122, and from Lyndonville Electric from Keniston Hill Road to Sheffield Square Road. The eastern end of the property along Route 122 is level and covers roughly 34 acres consisting of 19 acres of cropland and 15 acres of hayfields. This agricultural part of the property is in corn and hay production by a local farmer through a verbal agreement with the owners. The cropland to the east of the road provides drivable access to Miller’s Run River. The hayfield on the west side of the road offers access to the lower slopes of the forestland. Topography is quite variable. The steepest slopes are located at the property’s center. The areas along Keniston Hill Road and the property’s height of land are generally moderately to gently sloped. Elevation ranges from 1,400’ at the height of land (located at the center of the western boundary) to 925’ along Millers Run River. Aspect is primarily eastern; however northeastern and southeastern aspects exist. Views of Burke Mountain are present from the height of land and in spots along Keniston Hill Road. 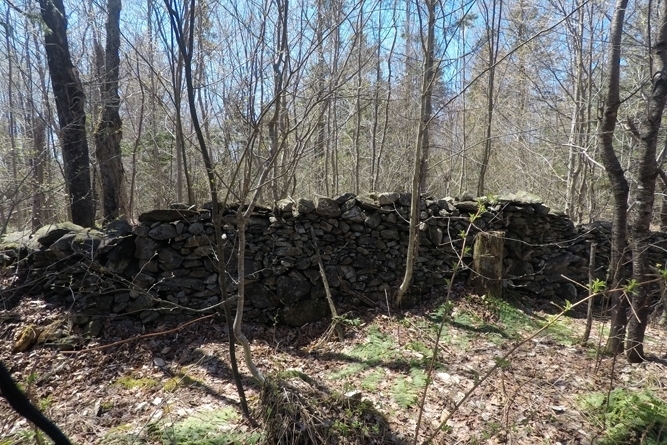 Old woods trails run throughout the property and a few substantial stone walls divide historic land uses. 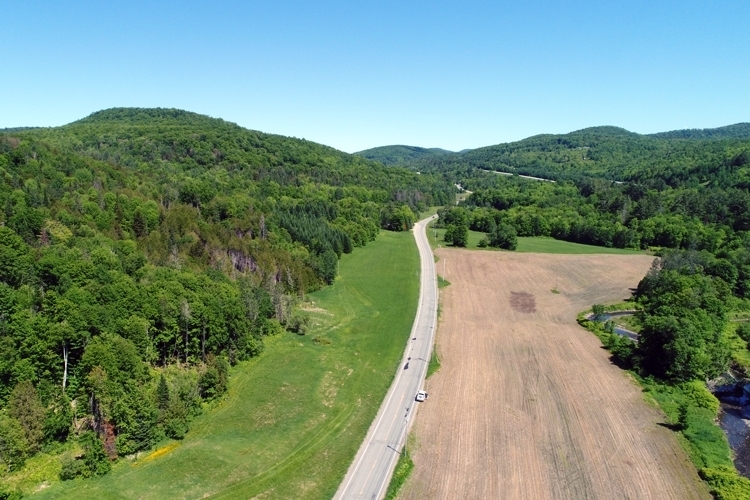 While the property offers multiple uses (agriculture, sugarbush, recreation, forest management), several potential home sites are possible, whether near Route 122 or along Keniston Hill Road. Each site provides easy access and is close to electric, data and phone service. These sites also offer nice local views of the nearby hills, the valley below and Sheffield Village. The timber resource consists mostly of older age classes (65-90 years old) with some younger age classes present in pockets (±25 years of age). The water resources offered by the property are exceptional. 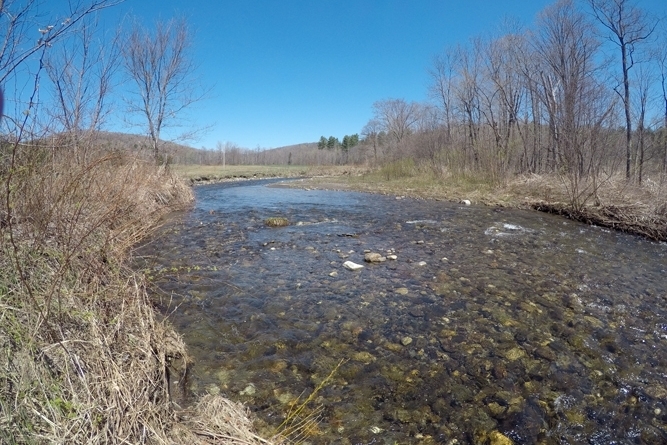 Miller’s Run contains the largest watershed and, while it runs lazily along the property frontage, good trout pools exist. Dane Brook runs year 'round along the southern side of the land and has a rocky bottom and clear water. 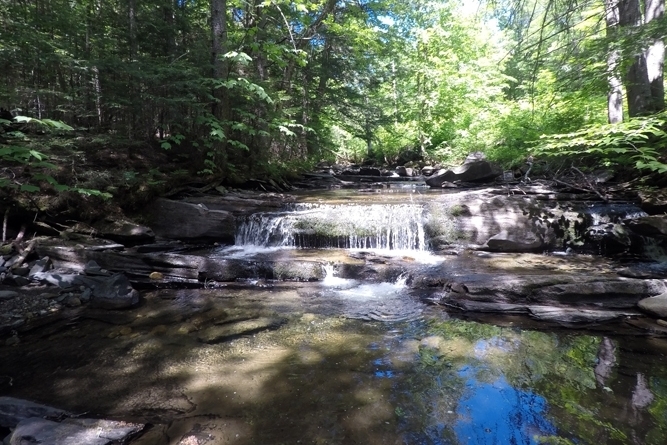 Sheffield Square Brook flows from the northwestern boundary of the property along ledge runs, creating a series of entrancing waterfalls with pristine water and swimming holes. The property features several excellent springs, the largest of which is a first-period spring, producing several thousand gallons per day that ran the 60-head dairy farm. 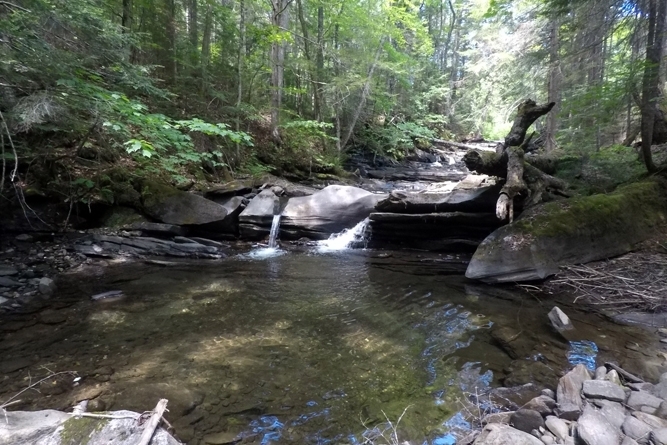 This significant spring is several hundred feet above, and south of, Square Brook in the northern portion of the property. A traditional spring house was last rebuilt built by the owners in the 1990s using long-lasting natural local cedar. There is a long history of sugar making on the land, peaking in 1975 with approximately 6,000 taps and documented by the old sugarhouse stone foundation and artifacts. 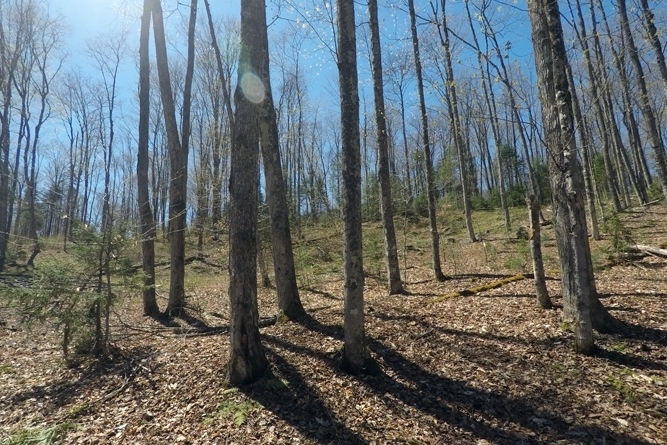 A northern hardwood stand dominates the center of the property, where maple is the dominate species. Terrain for this area slopes to Route 122 where electric power is located. 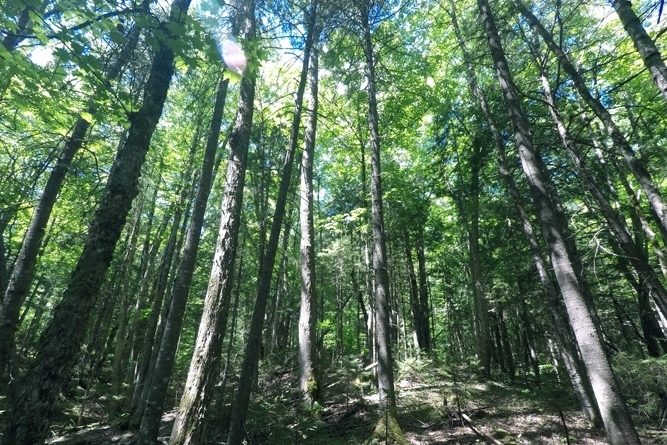 An additional smaller maple stand sits at the northern end of the property, and slopes to Square Brook Road (power is also along this road). There is no timber data; however, based on ocular estimates, these two stands cover roughly 120 acres where 4,000-5,000 potential taps exist.